The 21st Annual Reaching for the Cure Half Marathon, 10K, 5K, and Kids Run will take place on Sunday, March 17, 2018 at Irvine Valley College in honor of pediatric cancer warriors, patients, and survivors everywhere. Runners, walkers, fundraisers, sponsors, vendors and volunteers from all over Southern California will run and walk in an effort to Reach for the Cure! 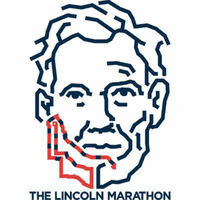 Half Marathon Swag with Registration - item to be announced soon! Famous Kids Zone - Carnival Rides, Petting Zoo, Face Painting, Etc. - FREE for whole family! Parking is FREE, Easy to get to, & Super close to the Start Line! $60 HALF MARATHON - Use Code SIXTY and get your Half Marathon race for a Rockin $60 Price! This is not just another race - this is a Race with HEART! When you run with PCRF, you are running for kids with cancer. You are even running WITH kids with cancer. Here your race becomes a cause greater than the miles ahead of you. Take the first step, and sign up with us today! Finish Line Festival: Race Day Activities for runners, walkers, cyclists, families and the community include packet pickup, race announcements, finisher medals, awards ceremony, exhibitors, food and musical entertainment; PCRF's famous Kids Zone features petting zoo, bounce houses, obstacle courses, video trucks, face painting, attractions and more.